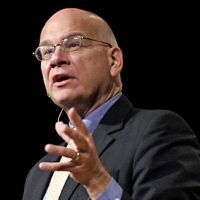 (Toni Brown – Bible Thumping Wingnut) This post is written as a follow up to last week’s article “Tim Keller’s Full Endorsement of Being Gay & Christian | Speaking Out On LivingOut” as there are some very important facts that need to be established. deliberately euphemistic, ambiguous, or obscure language: intended to deceive or confuse people. The words used in doublespeak can often be understood in more than one way. Boom! What they “claim” to be up-to isn’t really what they are up-to, hence the constant need for double-speak. If I had a nickel for every time I’ve run into someone scratching their head trying to figure out why Tim Keller said this, or that, when he seems so “orthodox” in one certain book or another- they have no idea that this is his game. You must understand this. the practice of unscrupulously manipulating the words and terms of anything regarding its form, meaning and context (i.e., language manipulation).